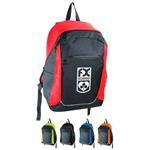 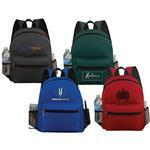 The Matrix Budget Backpack is a classic small backpack perfect for back to school promotions. 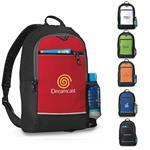 Has a large zippered compartment, a zippered front pocket, and one side mesh pocket. 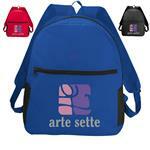 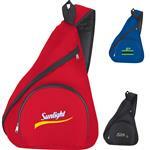 Features reinforced padded shoulder straps for comfort and a webbed carrying handle. 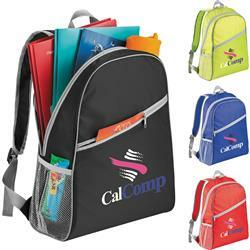 Customize with your logo for a great back to school giveaway!